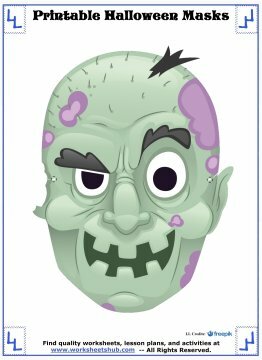 These printable Halloween masks would make a great activity for any classroom Halloween party. It's an easy craft that doesn't take a lot of preparation or create a huge mess. 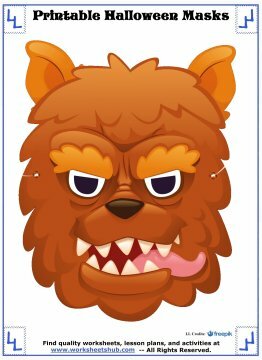 Best of all, the masks are free for you to print out whether you use them at school or at home. So turn on your printer, grab some scissors, and let's get crafty! 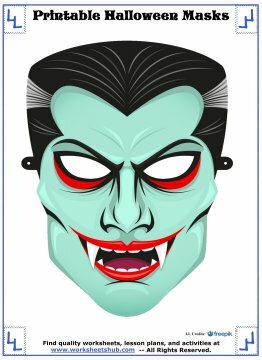 First off, I want to say a huge 'Thank You' to Freepik.com and its amazing artists who created the masks below and provided them freely on their website. 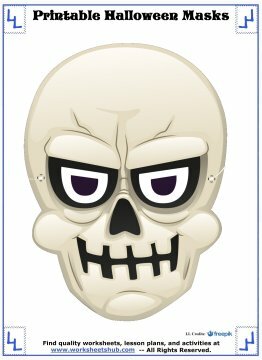 Making your mask is easy. 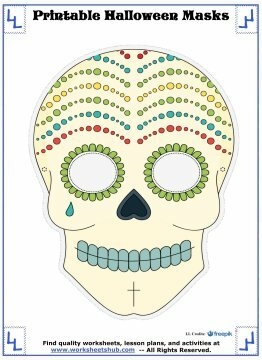 Just print out your favorite design below and then cut it out carefully. 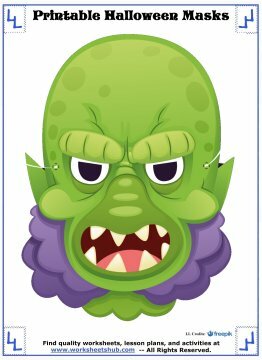 Be sure to cut out some eye-holes so your little monsters, witches, and ghouls can see where they are going. 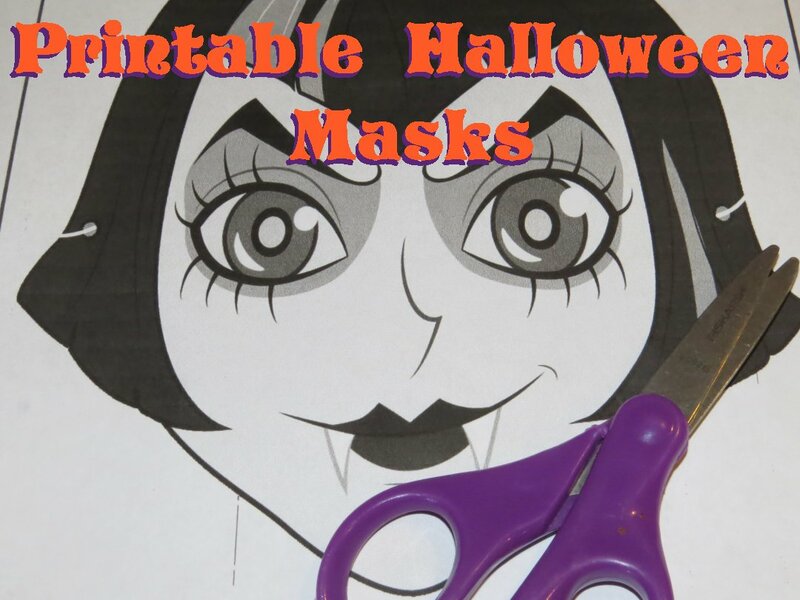 Once it's been cut, you can attach elastic string to the sides and you're ready for the Halloween class party. You'll notice the holes for string on both sides of the masks. Carefully punch out the center of the string hole and attach the string. I've also seen people that simply staple the string to the mask. That works, but I'm always afraid that the staple will poke or scratch my child. In a classroom setting, stapling may be quicker and easier than cutting the hole and tying the string. 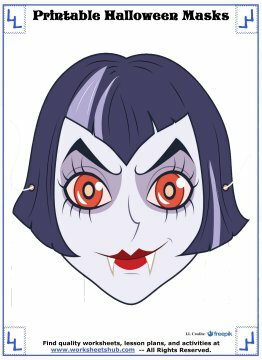 If you have any tips or suggestions for mounting the masks, please leave a comment below and let us know. 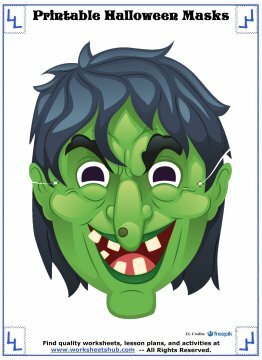 I just picked out nine of my childrens' favorite masks from Freepik to create the printables above, but you can find more masks on their website. 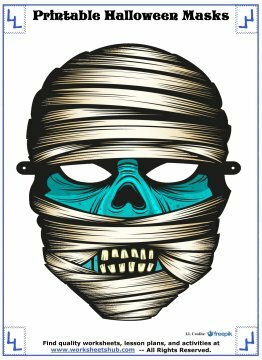 You can also find a lot more Halloween activities like coloring pages, word searches, bingo cards, crafts, and more on the pages below.